The home of the United Nation, the jewel of Swiss culture and hospitality, with nearby lake and Swiss Alps. 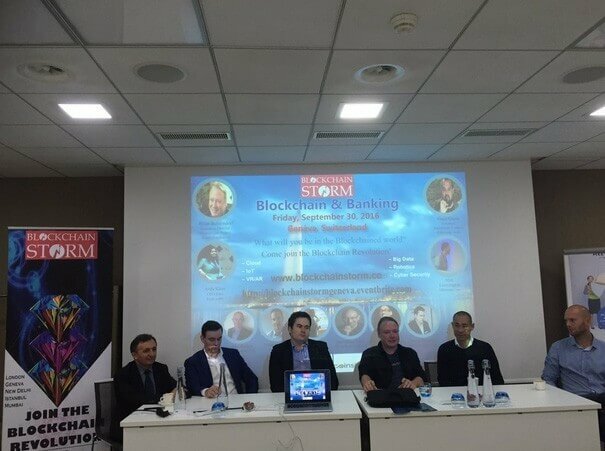 That’s Geneva, a captivating center of European trade and business and, lately a place you would’ve wanted to be in for a simple reason – Blockchain Storm, 2016. On 30th September, Hotel resort Novotel saw an influx of dedicated people – futurists marching to a conference hall to share ideas. Conference organized by Arifa Khan, ambassador for FemTech leaders, brought a plethora of bankers, investors, coders, developers and other forward-thinkers into packed venue to discuss the future of business, security and related topics. Key word was self-evident – Blockchain Revolution and interlardation with following themes: banking, integration or disruption; transformation of financial services infrastructure; capital markets interlacement; countries attitude towards regulatory mechanisms; investment management; lending and depositing. In her opening speech, Khan focused on communal integrity inside crypto-currency and blockchain movement. Rather than competition, futurists must join the effort and endorse revolution of various industries. However, she is emboldened by the next wave of power-brokers that are willing to challenge the state’s technocrats and their usurpation of regulatory power. To captivate attention of investors, or potential stakeholders, emerging blockchain start-ups successfully introduced their projects. One of their prideful moments was strategic implementation of key tech trends, such as VR/AR, Big Data, IoT, or even Robotics. Apart from ambitious newbies, the 9-hour conference gave every prominent speaker at least 30 minutes to introduce his ideas. Technologist and Hyperledger project executive director at LINUX Foundation, Brian Behlendorf; Vinay Gupta, visionary, tech futurist and part member of Ethereum team; Bruce Pon, CEO of Bigchain DB; this is just a fragment of a larger sum of presenters. 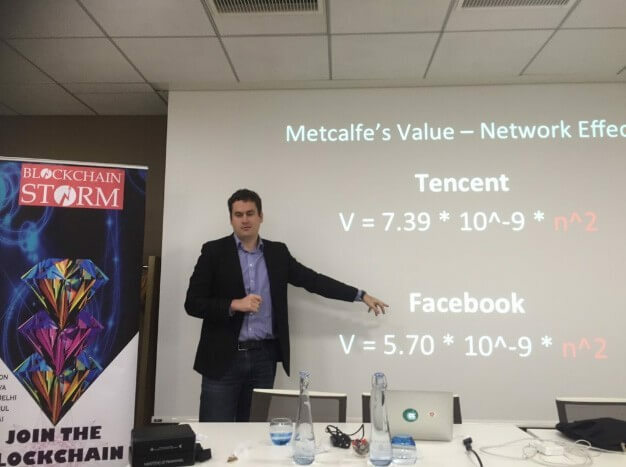 One of them, Matej Michalko, co-founder of DECENT Network talked about blockchain distribution platform aimed at more free and secure movement of digital products. He spoke at length about the core principles of DECENT – elimination of middleman, decentralization of trust, cost saving transactions, scalability and the selling point – Security Model. DECENT crew takes part at many important meet-ups, or conferences where we are all able to promote ideas of Digital Revolution. For any information about DECENT, its activities, or business plan, subscribe to our newsletter now!